Today the internet seems to be flooded with happiness, thanks to the fact that many bloggers have chosen the word Happiness for the letter ‘H’ on Day 8 of the Blogging From A to Z April Challenge. I am merely continuing my happiness project reports that I started in January. I missed writing one for March, so I’m combining the two months today. I didn’t actually launch a blog (that was Gretchen’s plan). Instead I took a hard look at this blog and re-evaluated what was working and what was not. I tweaked a lot things to make sure there was an improvement in loading time and Alexa ranking. And yes, I did reach out and ask for help when I needed it. But the best thing I did in March was to ‘enjoy now’. Our week long holiday at Mahabaleshwar consisted of sleeping, eating and reading and taking short trips around that beautiful place. The perfect recipe for happiness – add to that my choice of ‘disconnecting’ from blogging and social media and it was blissful. Then the madness of preparing for the A to Z challenge took over and before I knew it we were in April. Now this is a tough one. As you know I’m not a parent to begin with. But I can think of a few things I can certainly do – starting with, parenting myself. I need to focus a little lot more on my health and spend more time offline. If I were to take the A-Z as a project, then I’m doing that – but I don’t have the joy I had when we did it last year. I definitely need more time for introspection and writing. I am also struck by this ‘acknowledge the reality of people’s feelings’. Often, I think I know exactly how another person feels – I guess and respond based on that. Not a very good thing to do at all. I can see some amount of self-protection rearing its head in my interactions with others and this not ‘me’. I need to get back to being the way I was with people – more spontaneous, more open – but minus the naivete of my past. Whoever said that happiness was easy, huh? Seems to be a lot of hard work! You’ll find an interesting perspective on the ‘skills of happiness’ in a book I recently reviewed – Happiness: The Art of Living With Peace Joy And Confidence. Vidya Sury says that Happiness is a habit. I agree. It seems like I’m in heaven – I get free books and blog about them. Another cause for happiness, no? Today I’m doing a review of a book based on my belief that nothing brings happiness like having a good belly laugh. This one I received from NetGalley in exchange for a review. My views – While I’m all for laughter and fun, I take issue to laughing for the sake of laughing – especially the type that is doled out by the Laughter Yoga Movement of Dr Kataria. I’ve attended a couple of sessions of this at Jindals and just couldn’t get myself to laugh when I’m told to. Anyone who knows me, will tell you that I’ll laugh till I’m red in the face at the silliest of things – however, something in me just refuses to do these exercises! I’ll be honest and tell you I skimmed through this book. Don’t get me wrong the whole concept might appeal to someone else and the writing and presentation of the of book are fine. Only I was the wrong person to read it. To completely contradict what I said about happiness being hard work (I was not serious about that), let me remind you that happiness is all about the simple pleasures – enjoying and learning to draw happiness and contentment from them. Happiness is learning to ‘stay awake’ – to be aware of all that’s wonderful around and within us. Life is good, and happiness can be simple! 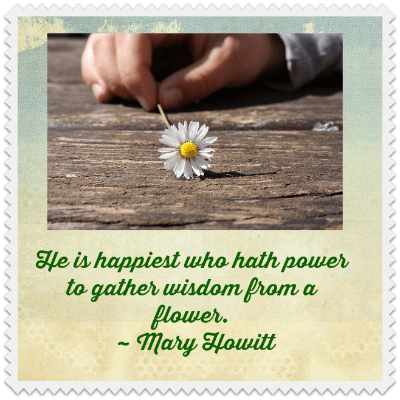 This post is written for the letter ‘H’ for the Blogging From A to Z April Challenge 2014. Jose and I are doing the challenge on our From 7Eight too. Laughter IS the best medicine and is contagious–a great way to make the world a happier place. Happiness is also writing and sharing my honest thoughts, without editing but not many can take it so I am not truly happy sometimes when I am cautious while writing. I too cannot laugh when told to, I might laugh at them instead of with them 🙂 Great post, Corinne. Thanks for sharing, Sulekha. I can totally identify what you are saying. Yes, I think awareness is so important in every aspect of our life. Thank you so much, Eli. You make me happy! I have a lot to learn from you and I mean that sincerely. Happiness can be found in the smallest of things, sometimes in the unlikeliest places. One has only to look for it. While I agree that laughter is good for us, it has to be genuine, not contrived or forced. Yes, the good news is that we can find happiness – it’s all up to us! Your blog made me happy today!! Thanks for the smile!! Sometimes the tiniest things can make you happy. Sometimes writing can make you happy, and sometimes getting far away from it can make you even happier. I love that you are doing what you need to do to be happy. Life is entirely too short to not be happy! Laughter is the best medicine for everything but sometimes people try to hard to be funny…and that just isn’t a bit funny…LOL. Well said, Kathy. We must find what makes us happy and follow that. Visiting on the 10th day of the #atozchallenge. Learning interesting new things on this blog hop day. Congratulations on your blog/theme. If you have time or interest, I am writing about gardening and related topics this month. Come and visit. Thank you so much, Vanessa. Good luck to you too. Laughter is healing, indeed, but I agree that it can’t be forced. It needs to come from deep within as genuine and real. And, happiness? It is found in the little things in life; I’ll have a post later this month focusing on that very thing. You are so right. Happiness is all about the simple pleasures in life. There is always so much to be happy about. I also like your parenting yourself by taking care of your health and being offline more. Those are great goals. I need to work on the later as I have an online business and am one with my computer. If you need help or inspiration with taking care of your health, I invite you to check out my FB page called XLvita. Thanks so much, Caroline. Checking your page out. I stumbled onto your wondrous article from the Facebook Blog Challenge Group Page. Thanks for your very warm and friendly comment, Krithika. So glad this resonated with you. Thanks Corinne for this beautiful HAPPY post ! Yes ultimately whats the point of living a life which had no joy. I wish and pray that you stay healthy and Happy 🙂 and continue to spread happiness as easily as you do now ! Thank you, Ananya. I wish you everything wonderful too. For me, happiness is more about an inner peace, or joy. My view on happiness is that it is fleeting, or connected to an external event that causes the happiness, whereas joy comes from a trust (for me) in God and knowing that He won’t leave me in the lurch! As far as laughing, that my medicine for everything. If it wasn’t I’d be a mess of memories and clumps of hurt on the floor. Wonderful post, Corinne. I relate to your statement about being unable to laugh just for laughter’s sake. In some ways, that seems inauthentic, almost cheapening the true joy you get when you find something humorous. As a parent, I’ve come to hoard my online time, because once I’m home for the day or off on the weekends, computer time is almost nonexistent. But I suppose that forced offline-ness does help keep me sane (and happy). Glad you liked it, Aditi. Happiness is indeed a lot of hard work and takes conscious choice! Cannot say what happiness means to me exactly.. I am as of now trying to grasp the fact that happiness is a choice and trying to incorporate it in my life.. It is however great to read such inspiring post..
That’s a good start, SG. Happiness is definitely an inside job. It starts and ends with the way we think about and respect, ourselves and others. Love your Happiness Project and how you are striving to bring about changes. Learnt a new thing again about Parenting self. I think it is the bestest thing we can gift to ourselves but we rarely do it! And yes, I cannot laugh on command. There is a laughter club here in our apartment and Gy and I giggle every morning, when we pass them on our way to the bus stop. Maybe it works for them, but not me, sorry. Good luck with the project, Corinne. Sounds lovely! Lovely, lovely, and lovely! The part you wrote for your April project touched me deeply. There is a very honest quality to your writing there, I felt. I loved reading that passage. And the last part about confusing forced laughter with happiness is also very interesting. And that Zen story – aah, absolutely great! Happiness, to me, is also about something like a quietness inside, more of a joy that is more serene. I can never ever relate to the kind of humor/laughter/happiness being promoted by the comedy channels or most of what goes by the name of stand-up comedy. No offense to anyone who likes that kind of entertainment, but I personally don’t find casual entertainment as a source of much happiness. I find happiness in finding my new plant doing well in the garden, in discovering that the turquoise blue color I decided for that rattan bench in my courtyard actually did come out nice, etc. etc…. But yes sometimes laughing out loud on silly things does give me a good release too 🙂 Really enjoyed this introspective post, Corinne! Thank you, Beloo. I do try to be authentic about what I share – especially with regard to myself and my journey. I’m glad you spotted that. 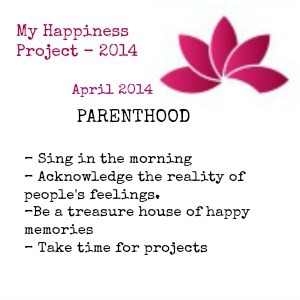 I need to make a happiness project too…Too many things happening not really to my liking…Maybe I just need this! Good luck with that, Naba. There’s a lot of negative stuff going around, but we are responsible for our own happiness! Corinne, you’ve inspired me to think about monthly projects and break up my long wish list into smaller and fun chunks. 🙂 Thanks a bunch. I love that thought about parenting yourself. With an energetic toddler around, it’s easy to forget. Oh yes, when you have kids I’m sure it’s difficult to remember to take care of yourself – but you must. Hugs. Thanks, Corinne. It sounds right up my street. I’ve subscribed to the mailing list and will find the book. Many thanks! Hope your feet are behaving themselves. Hugs back to you! Glad you liked it, Monica. And I’m better – thanks for asking! For now happiness to me is digging into tht pork chops which is marinated n ready …… SLURP! I love this post on many levels, but primarily because it is about finding happiness in simple things – and so I’d say, yes – it is easy because happiness is a choice, after all. I take exception to being ordered to laugh. In fact, i realized I don’t have to be, since I am laughing most of the time even at things that don’t warrant laughter. When I downloaded the book, i was excited about the cover. But was a wee bit disappointed with it. And funny you should mention the ha ha ho ho sign off. Ugh. Loved the post, Corinne. And I especially love the parenting self. Something we’d all do well to remember. Thanks, Vidya. And yes, happiness is a choice, and one that we need to make almost on daily basis. Glad you felt the same way about the book! We don’t need anyone to make us laugh, do we?